Northwestern State University’s Gallaspy College of Education and Human Development will honor several individuals, including an alumnus of Pi Kappa Phi Fraternity, with induction into the Hall of Distinguished Educators during Homecoming festivities Saturday, October 21. Dr. Larry W. Gracie and other recipients will be honored during a reunion at 1 p.m. in the Commons Area of the Teacher Education Center, followed by the induction ceremony at 1:30 p.m. in the TEC Auditorium. Gracie graduated from Northwestern State in 1970 with a bachelor’s degree and earned a master’s in counseling and student personnel administration from Texas A&M-Commerce (formerly East Texas State University) in 1971. He earned a Ph.D. in education management system and design with a concentration in higher education and student development at Florida State University in 1976. 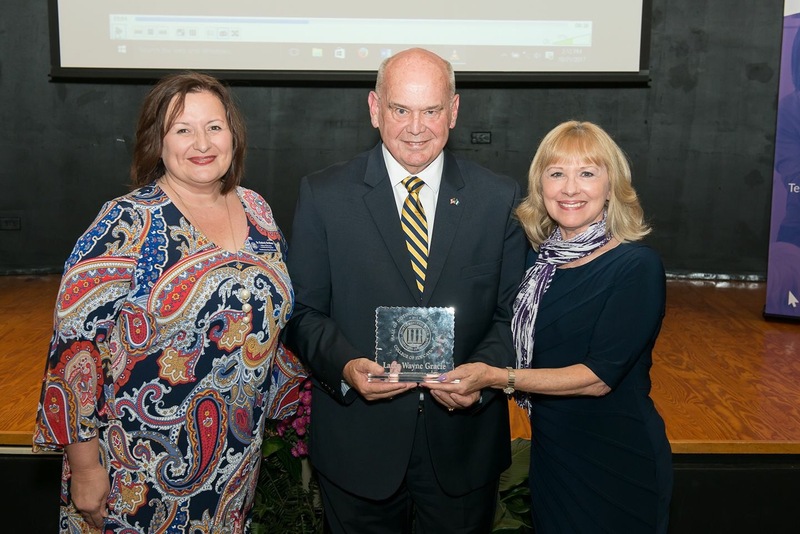 He began his career at the University of New Orleans in 1971 working with student activities and in financial aid and from 1976-77 was director of sponsored research and special projects for the State University System of Florida. At North Carolina State University, he served from 1977-1994 as coordinate or student affairs research, dean of student development, associate director of university planning and analysis and director of space planning and management. Gracie served as district executive for the Boy Scouts of America from 2006-2008 and was dean of curriculum, interim president and chief academic officer and vice president of instructional services with Pamlico Community College from 2008-2013. In addition to his higher education professional experiences, Dr. Gracie has been employed by private non-profits where he has fulfilled his passion for supporting youth development and community building. Gracie and his wife Joan have five children, 10 grandchildren and many pets.